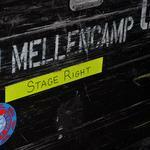 Billboard - By Kevin Rutherford John Mellencamp lands a No. 1 album on Billboard’s Top Rock Albums chart for the first time in his career, as his new album, Other People’s Stuff, rules the ranking dated Dec. 22. Stuff features covers in its tracklist, including songs by Robert Johnson, Jimmie Rodgers and more.